I envied people who were good programmers. I always dreamt of becoming good in programming. I dreamt of being busy doing something productive. 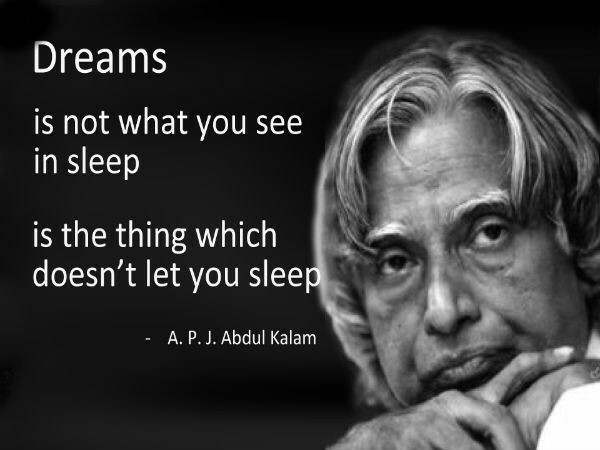 A.P.J Abdul Kalam said right about dreams. But dreams of being succesful was a ray of hope in my depressed life. For me, Dream was what I saw before my sleep. Coming back to reality, I never practiced programming. I was too busy doing nothing. I was busy in a relationship with a lot of fight, anger and trust issues. Nobody knew me because I was a nobody. I used to get stuck on social medias all the time. I used to finish a sitcom series in one night. I used to consume all the junk. I was depressed and really wanted to get out of the whirlpool.I knew I had all the habits of an unsuccessful man. I decided to reciprocate my habits for a change. The life I aspired less than a year ago is now reality. The tables turned courtesy my promise to work at least 2 hours a day on myself. I promised to code and read a book or a Medium blogs everyday. Occationally , I read a lot more than 2 hours. Every now and then when we read a book, a inspiring quote or a rule or the article itself gets stuck within us and changes us. The Power of Doing One thing at a time got stuck within me. When I practiced programming, I just did it. When I watch a game, I just watch the game, I enjoyed the game. I stopped doing stuffs like doing my assignment sitting down the tv . This simple rule helped me to focus on every aspect of my life. After few motivational videos from Simon Sinek ,I refrained from consuming junk. I log in to facebook 1–2 times a day. I uninstalled Snapchat, Facebook, Messenger and started using Quora ,Medium and twitter. After nearly a year of rigorous self development, I have started to get lucky. Luck is right position in the right time but its up to us to be in the right track when the opportunity comes our way. One day I came across a highly reputed MIT Entrepreneurship workshop form to be held in Kathmandu. It was a intensive 7 week intensive bootcamp where we would work in teams to develop and ultimately launch a web- or mobile-app startup. I was cold and shivering when I finished reading the form. This is what I wanted. I filled up the form right away in hurry. It was a long and tough form but I guess my constantly training myself paid off. With less than a year of disciplined practice, I got a huge opportunity. The workshop is starting in 10 days from today and I can’t be more excited about it. I will let no stones unturned to make those 7 weeks the best and most productive 7 weeks of my life.